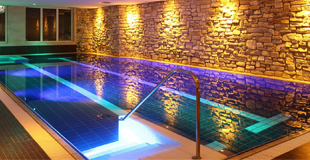 WaterVision helps Dorint Hotel & Sportresort Winterberg to give its guests an ultimate experience by providing the spa with WaterVision's exceptionally high quality LED lighting both under and above water, which enhances the desired effect. 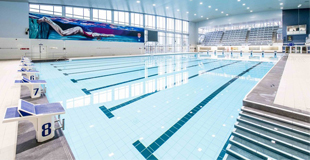 During its full renovation in 2018, sports centre “De Wezenberg” was fitted with RGBxW LED underwater lighting. The underwater lighting illuminates the long-course swimming pool with half the number of lights as before. But the results are no less stunning. 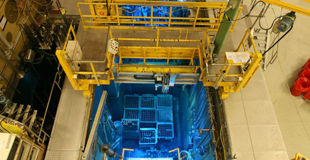 The nuclear reactor in Petten (NL) again selects WaterVision. WaterVision is modernising the nuclear reactor's underwater lighting, which was installed 14 years ago. Contrary to most nuclear plants, this nuclear reactor is not an energy plant for the purpose of generating energy, but rather it is used for the research, development and production of medicines. Lees meer: Petten nuclear reactor again selects WaterVision. De Krim: Swimming pool of the year! WaterVision provides the lighting. The new swimming pool of Holiday Park De Krim opened on 6 July 2017 in the village of De Cocksdorp on the island of Texel (NL). The demolition of the old swimming pool started precisely ten months prior. For De Krim, the planned opening date was essential, considering the peak traffic on Texel during the summer holidays. WaterVision, together with De Krim and all the other parties, has given its all to create a fantastic atmosphere and, naturally, to meet the deadline. And with stunning success. 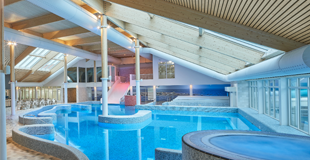 Lees meer: De Krim: Swimming pool of the year! WaterVision provides the lighting. 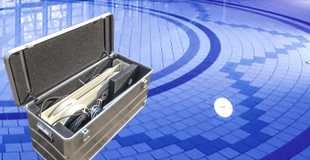 Because of considerable success in the international market, we are introducing the WaterVision Portable Lightset. Sometimes the path to market is unusual: The set was originally developed to be able to demonstrate WaterVision's lighting on location, but various swimming pools had the need to use the Lightset temporarily or even on a semi-permanent basis. For parties with atmosphere or where built-in lighting is not available. After almost nine years of problem-free service, the underwater lamps in the competition pool of the De Mirandabad pool and the Zuiderbad pool in Amsterdam have been replaced. Once again, the choice was made for the Mediterranean blue NanoPower floodlights from WaterVision. Because of this choice, the pools profit from the latest technology and from the lighting characteristics which the NanoPower 2017 series offers.